‘Something is not right’ with Saturn’s ‘Death Star’: Life-friendly underground ocean in Mimas? Mimas, one of Saturn’s moons (nicknamed ‘Death Star’) has a telltale wobble that leads scientists to believe the orb may have underground water ‒ or even a subterranean ocean ‒ according to a new study. Astronomers from the US, France and Belgium focused on the interior of Saturn's icy moon Mimas, the smallest of Saturn’s main moons. They based their calculations on high-resolution photos of Mimas snapped by the Cassini spacecraft. The researchers concluded that either the frozen core is shaped like a football, or the celestial body contains water in a liquid state. "The data suggest that something is not right, so to speak, inside Mimas," Dr.Radwan Tajeddine, a Cornell University research associate in astronomy and the lead author of the article, said in a statement by NASA’s Jet Propulsion Laboratory (JPL). "The amount of wobble we measured is double what was predicted." Researchers built a 3D model of the moon using images of the orb from a variety of different angles. 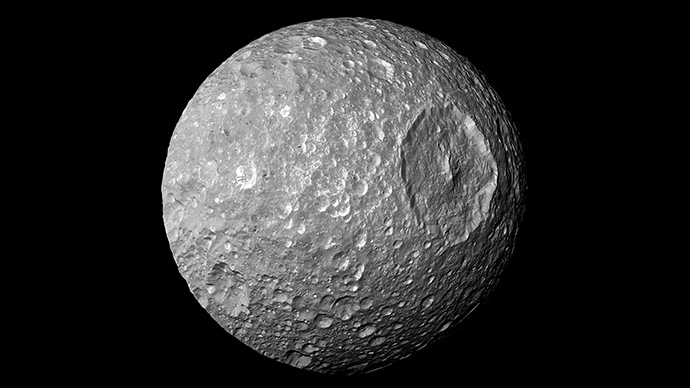 Mimas has a cratered surface, with its prominent feature, Herschel Crater, reminding astronomers of the infamous Star Wars space station, leading to the moon’s nickname “Death Star.” The crater is one-third of the entire moon, and the scientists initially tested whether the extra rotation was due to a “huge mass anomaly” underneath the crater. But, even if that were the case, it would not have explained as much of the wobbling as the team observed. That led to the hypothesis of an underground body of water. "This is where we started thinking of more exotic interior models," Tajeddine told BBC News. "When we saw this wobbling, the first thing we thought of was an ocean." The larger-than-expected measurement led to excitement among the team, he said in the Cornell statement, adding, “Nature is essentially allowing us to do the same thing that a child does when she shakes a wrapped gift in hopes of figuring out what's hidden inside." 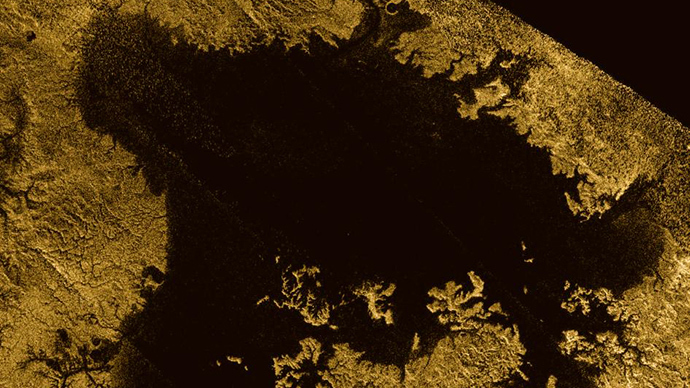 If it possesses an ocean, which scientists estimate would be 15 to 18 miles underground, Mimas would join an exclusive club of "ocean worlds" that includes several moons of Jupiter and two other of Saturn moons, Enceladus and Titan, NASA said. But a global ocean would be surprising, according to Tajeddine, as the surface of Mimas does not display signs of geologic activity. Chris Lintott, an astrophysics professor at the University of Oxford who was not involved with the study, told BBC News that the research suddenly makes Mimas a lot more interesting. 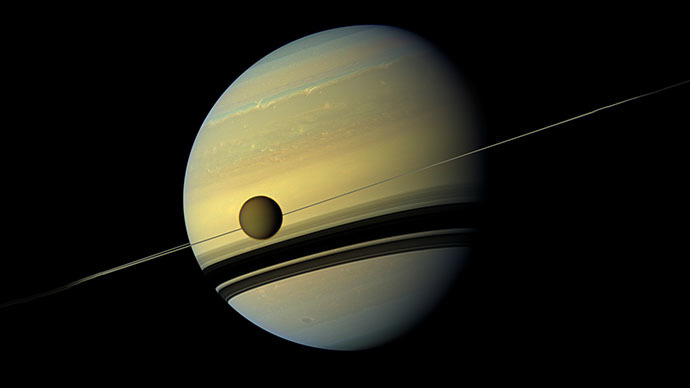 "If the ocean is really there, we're getting to the point where it's just completely standard for icy moons to have substantial bodies of water inside - and that could have interesting implications for how many of these things could support life," he said. "Observing libration can provide useful insights about what is going on inside a body," said Tajeddine in the JPL statement. 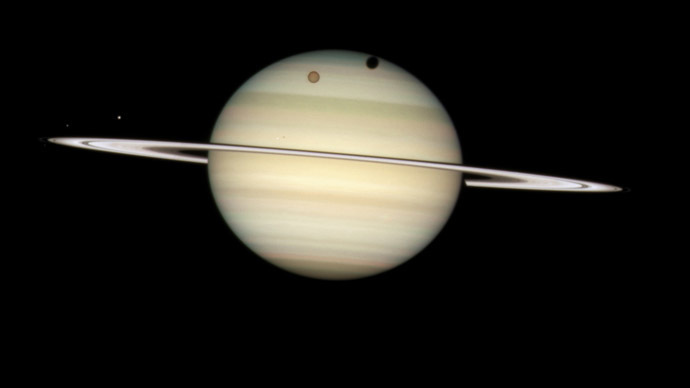 "In this case, it is telling us that this cratered little moon may be more complex than we thought." 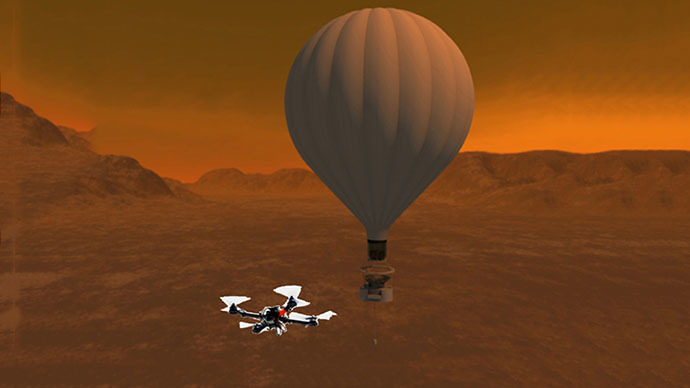 The research was funded by Université Pierre et Marie Curie, NASA’s Cassini mission and the European Space Agency in collaboration with the Belgian Federal Science Policy Office. 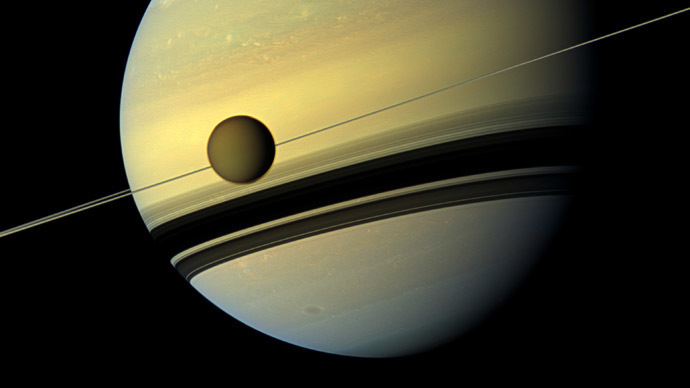 Cassini was sent to Saturn in 1997 to explore the planet and its many moons, which so far number 62 (53 with names).